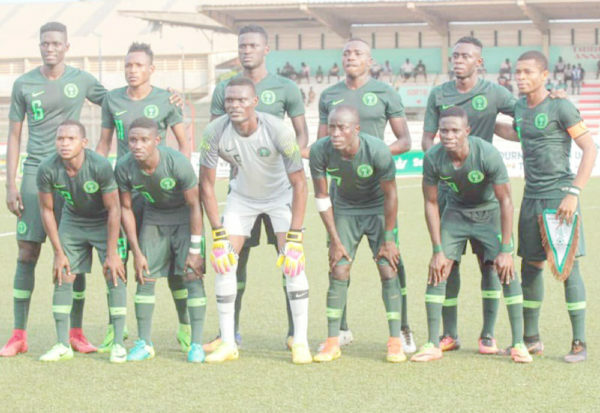 The Minister of Youths and Sports, Solomon Dalung, on Saturday congratulated the Flying Eagles on their qualification for the FIFA U-20 World Cup in Poland. A statement by the minister’s Special Assistant on Media, Nneka Ikem-Anibeze said that the Flying Eagles finished top of Group A after beating hosts Niger Republic at home 1-0 to pick one of the four tickets at the 2019 U-20 Africa Cup of Nations. “I congratulate you for picking one of the four slots for Africa to play at the World Cup in Poland. “I have followed the team’s progress in the group stage and I am impressed by their youthful skills, determination and teamwork. ”I commend you for your performance so far in the African Championship and I pray that you scale through your semi final match against Mali and possibly win the trophy. “ he said. Nigeria would take on Mali in the first semifinal on Wednesday. Mali edged out Ghana by a lone goal to qualify. The second semi final game would be between Group B leaders Senegal and runners -up South Africa.